Remove some brake fluid from the master cylinder. 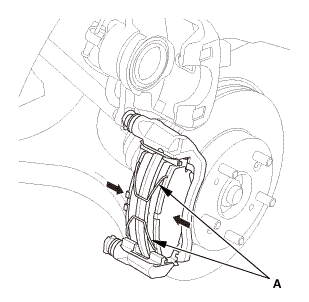 Pivot the caliper body (B) up out of the way. 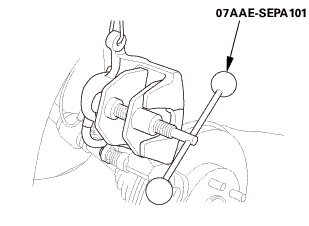 Be careful when pivoting the caliper body up or the spring could pop out of position. Remove the pad retainers (A). 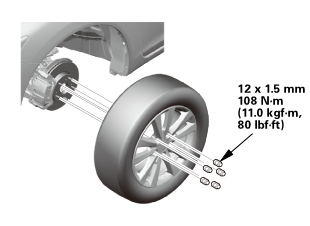 NOTE: Except 14 inch brake caliper, the upper and lower pad retainers are different. 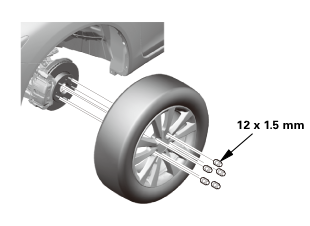 During installation, make sure the pad retainers are in the proper positions. 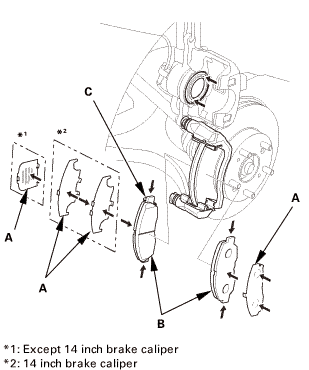 Clean the caliper bracket (B) thoroughly; remove any rust, and check for grooves and cracks. 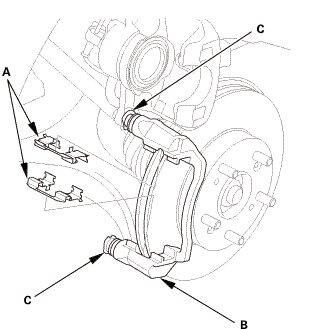 Verify that the caliper pins (C) move in and out smoothly. Clean and lube the pins if needed. Apply a thin coat of M-77 assembly paste (P/N 08798-9010) to the retainer mating surface of the caliper bracket (indicated by the arrows). 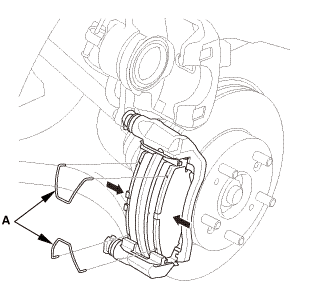 Install the pad retainers (A). Wipe off the excess assembly paste from the retainers. 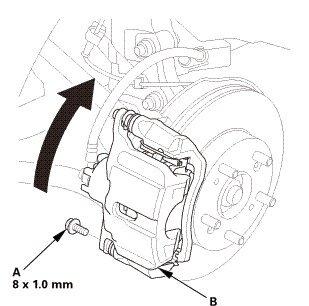 Keep the assembly paste away from the brake disc and the brake pads. 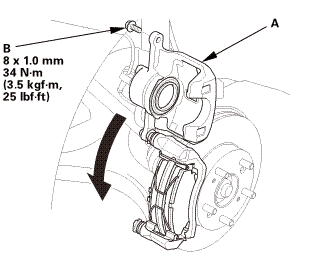 Except 14 inch brake caliper: Make sure that the pad retainers are installed correctly. Install the brake caliper piston compressor tool. Press in the piston with the brake caliper piston compressor tool. NOTE: Be careful when pressing in the piston; brake fluid might overflow from the master cylinder's reservoir. If brake fluid gets on any painted surface, wash it off immediately with water. 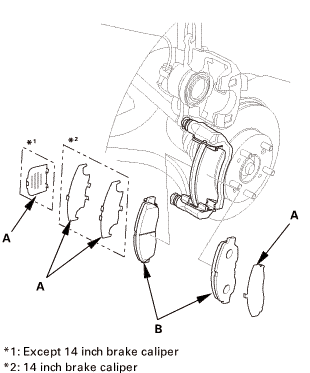 Make sure the piston boot is in position to prevent damaging it when pivoting the caliper body down. Remove the brake caliper piston compressor tool. Pivot the caliper body (A) down into position. 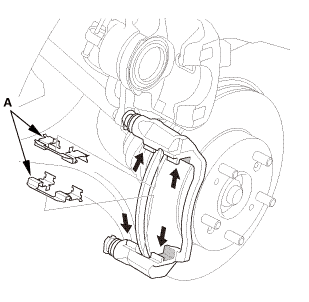 Install the flange bolt (B). Add brake fluid as needed.